Pogledajte najbolje fotografije iz svijeta za dan 5. april 2018. godine. 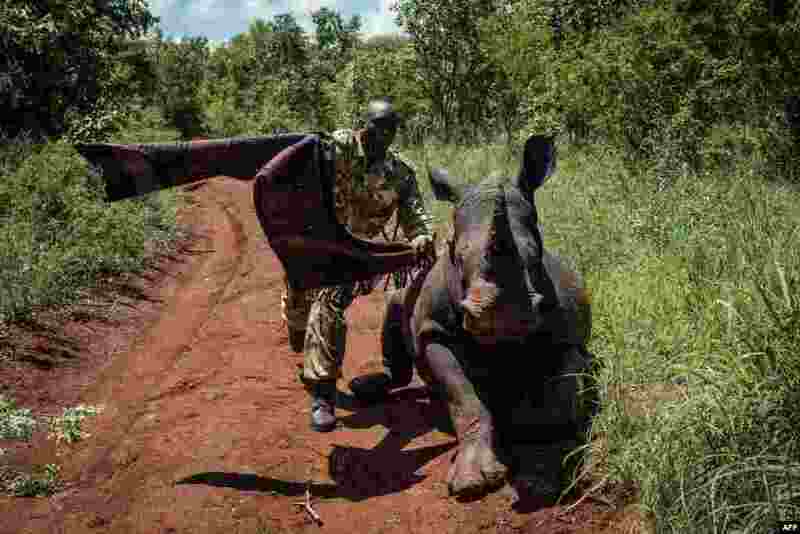 1 A ranger of Kenya Wildlife Services tries to cover the eyes of 2-and-a-half-year-old female Southern white rhino, Elia, to calm down after being shot a tranquilizer from a helicopter during Kenya Wildlife Services (KWS) rhino ear notching exercise for identification at Meru National Park, 350 km from Nairobi. 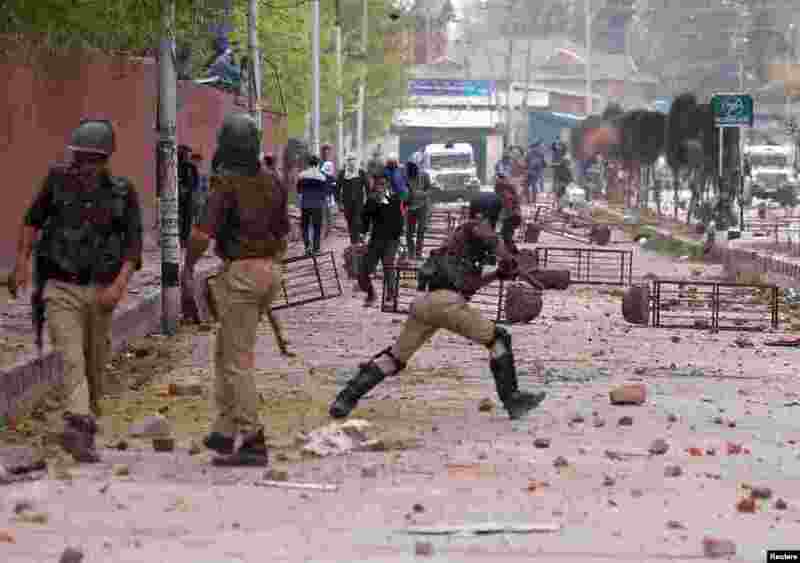 2 Students hurl stones towards Indian police during a protest against the recent killings in Kashmir, outside a college in Srinagar. 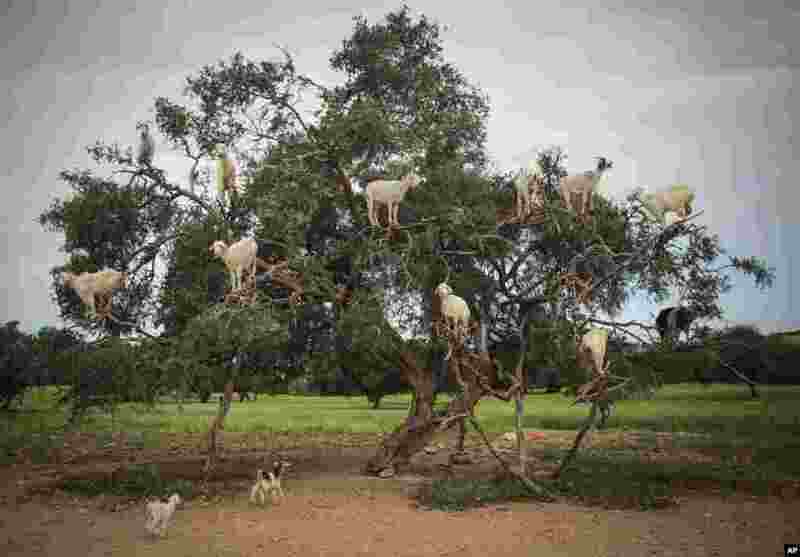 3 Tree-climbing goats feed on an Argania Spinosa, known as an Argan tree, in Essaouira, southwestern Morocco, April 4, 2018. 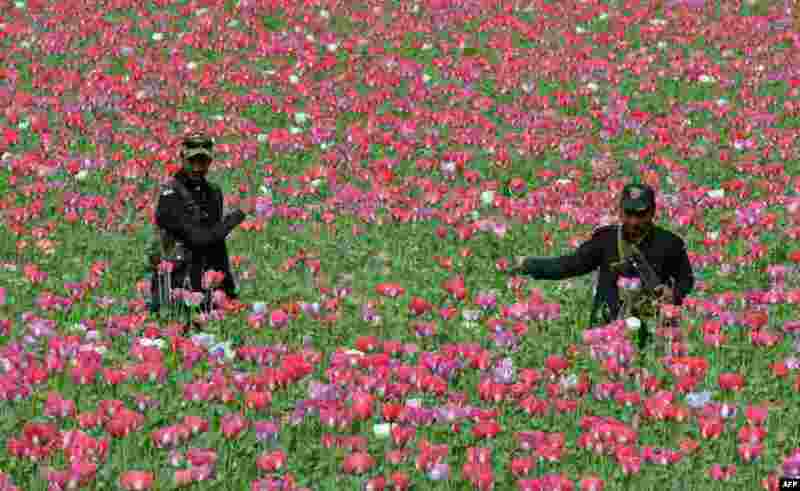 4 Pakistani Khasadaar Force personnel destroy poppy crops in the Prang Ghar area of tribal Mohmand Agency, about 100 kilometers from Peshawar.